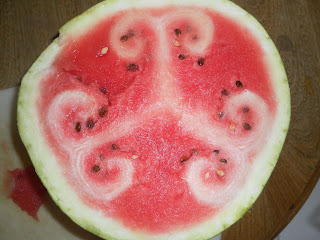 What a surprise to cut open a watermelon the other day and find this lovely design! I've never seen one quite like it! I've never seen one quite like that either! It's pretty!